Brad and Lori manning the CAMRA SO Booth at OFOA! It’s just a week from our May Members Meet Up, held at Craft Corner Kitchen on Tuesday May 29th from 5:30pm to 8:30pm.  We are pleased to feature a special cask creation from Firehall Brewery – Sid and his team have come up with a lovely Cinnamon Blonde Ale exclusive to this event! Food will be available to order from the regular menu, along with the rest of the fantastic beers on tap! This will be a casual gathering with only a few announcements from the executive team, leaving lots of time for mingling and conversation. 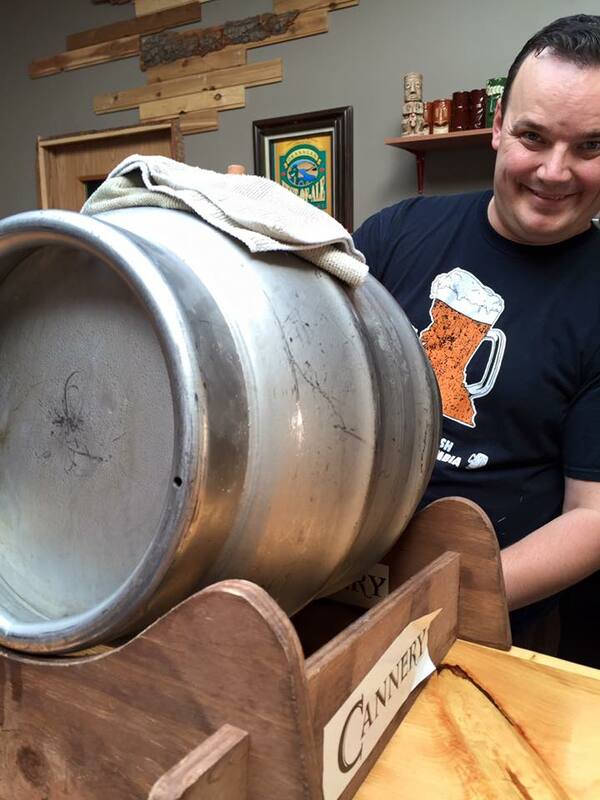 Our host at Craft Corner, John, who loves serving fresh tapped cask beer! One of these announcements will be in regards to printing CAMRA SO shirts and hats! The last of our unisex black shirts sold this spring, and are seeking feedback for new options for our next batch. Potential choices include colour, as well as men’s and women’s specific sizes. Can’t attend on May 29th? No worries! We will provide an update on pre-order options via email sometime in early June. SAVE THE DATE! 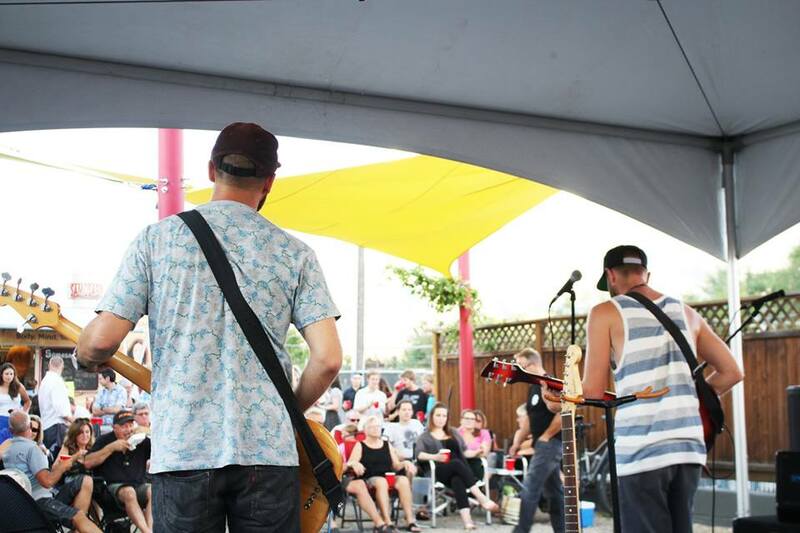 JULY 21 CAMRA SO takes another Road-Trip, this time to Firehall Brewery for one of their Back Alley Concert events. Follow our event page on Facebookfor updates on ticket availability and more event details. 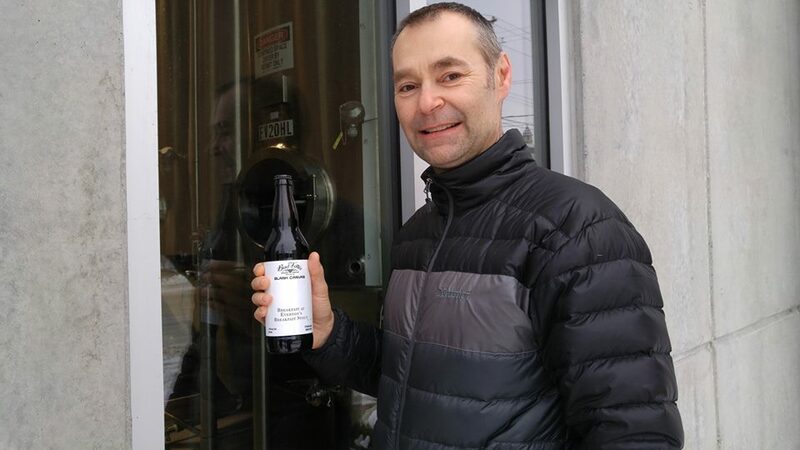 Warren’s prize for Brewer’s Choice at the Home Brewing Competition won him the chance to brew the recipe full scale at a local brewery of his choice – He’s pictured here with the final result, Breakfast at Everton’s Coffee Stout brewed at Bad Tattoo. Some of our members have been in the news lately! 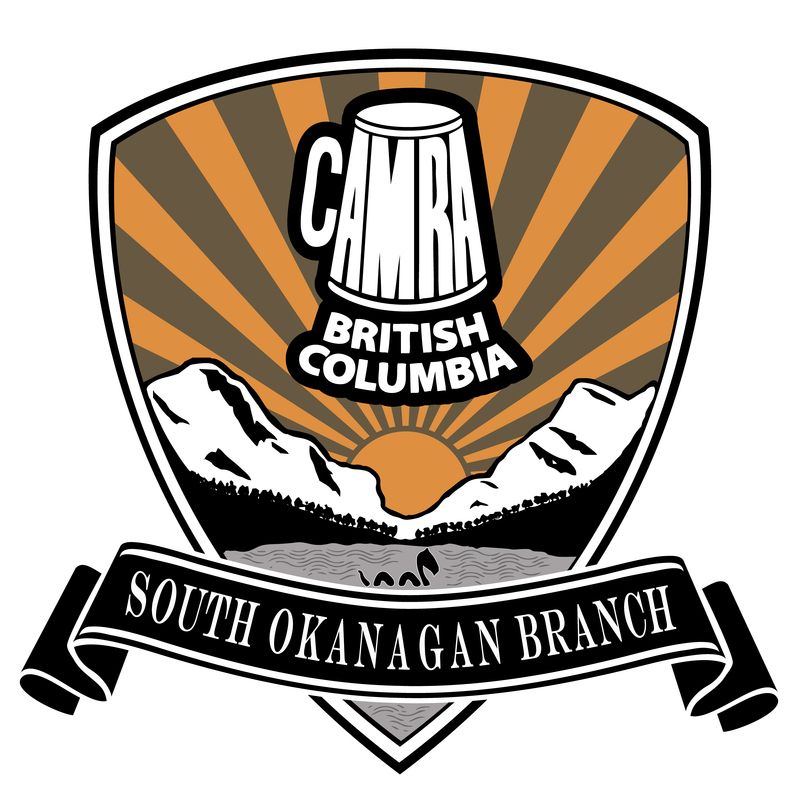 Warren Everton, Winner of Brewer’s Choice at last year’s CAMRA SO Home Brewing Competition, was on Kelowna’s AM 1150to talk about his brewing the recipe full scale at Bad Tattoo Brewing. Check out this link to hear the full interview. 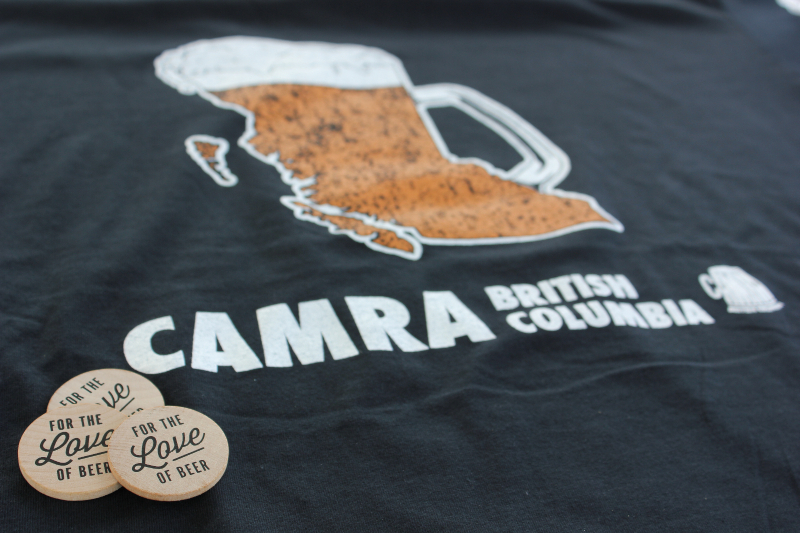 Our Vice President, Chelsea, recently had an article on the Penticton Beer Run published on the BC Ale Trail blog! Tickets for the Beer Run are still for sale, go here for more details! The 10km course features 6 local breweries, 3 local restaurants and lots of other fun surprises, with all proceeds supporting Y.O.R.S., a local non-profit getting kids involved in outdoor activities! The first Home Brewers Meet Up at Trellis and Vine was a success! Expect the next meeting near the end of June/early July. 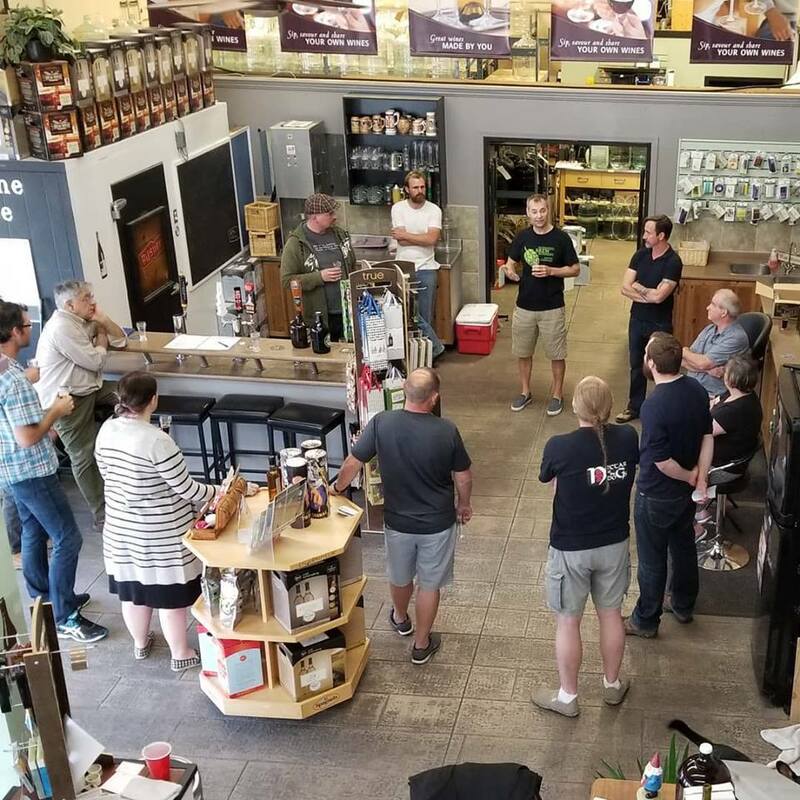 The very first South Okanagan Home Brewers Meet Up, hosted by CAMRA SO education liaison, Eike Hinz and Trellis and Vine Crafthouse, had great attendance! The goal is to link local home brewers for feedback and support. Details of the next meeting will be sent out once we receive them. 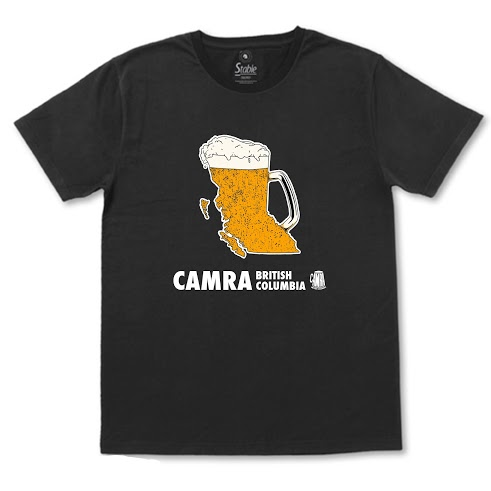 Of course we also want to remind everyone, home brewers and home brew drinkers, of our 3rd Annual CAMRA SO Home Brewing Competition in September, and will be sharing details on the date and other important information for registrants very soon! We want to extend a special congratulations to our President and craft beer Super Woman, Kim, who took a few days off from her many different roles this past weekend to get married! 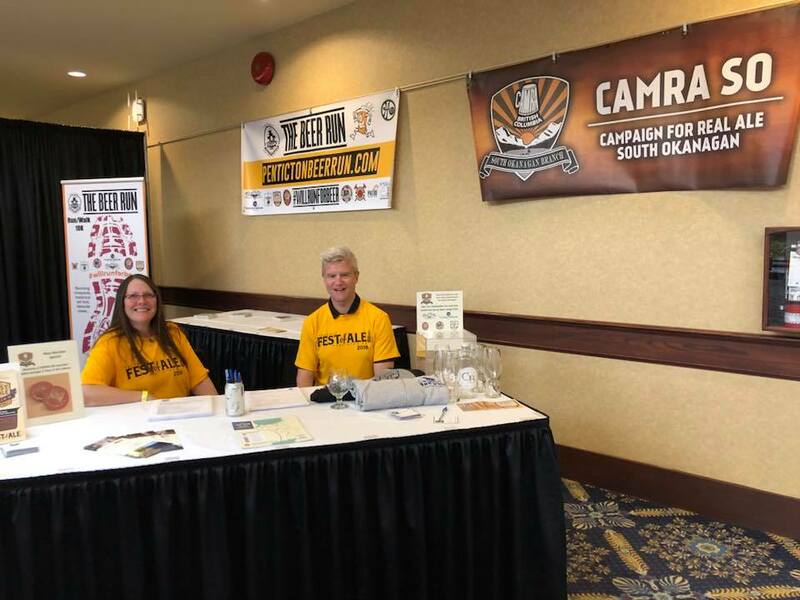 Kim’s work in the local wine and beer industries has had an enormous impact; she is involved in many of the amazing events in the area as well as being the driving force behind the creation and operation of CAMRA SO. 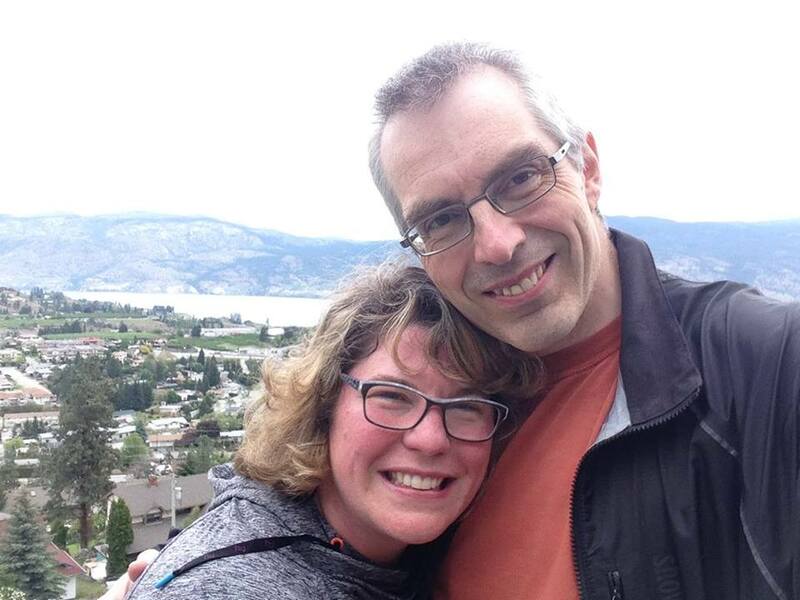 You may recognize her husband, John, as the man behind the camera at many of our CAMRA SO events as well as being the editor of the Summerland Review. Congratulations Kim and John, we hope you are both enjoying some much deserved time off together! That’s it for updates this month! As always stay tuned to our Facebook page for more news and event details. Cheers! The return of sunny weather sees the return of summer hours to our partner cideries! 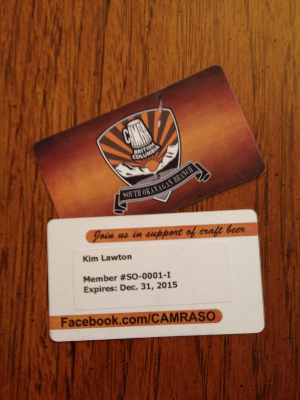 Stop by for a visit and show your CAMRA card for a special benefit. Howling Moon in Oliver offers members 10% off purchases at the cidery, contact them for seasonal operating hours. 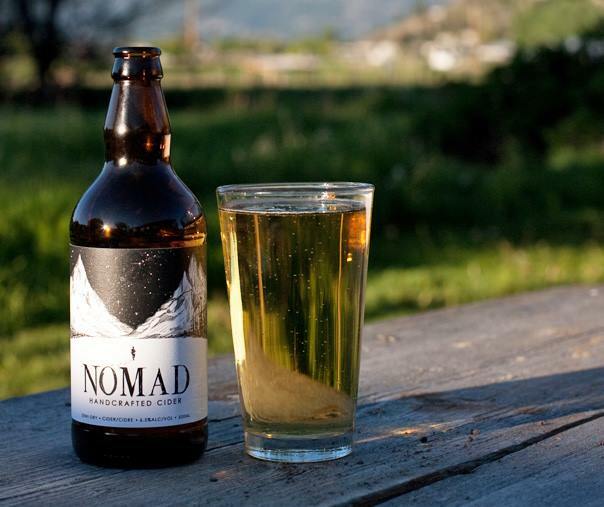 Nomad Cider in Summerland offers members 10% off purchases at the cidery, they are currently open Saturdays and Sundays from 11:00-5:00. 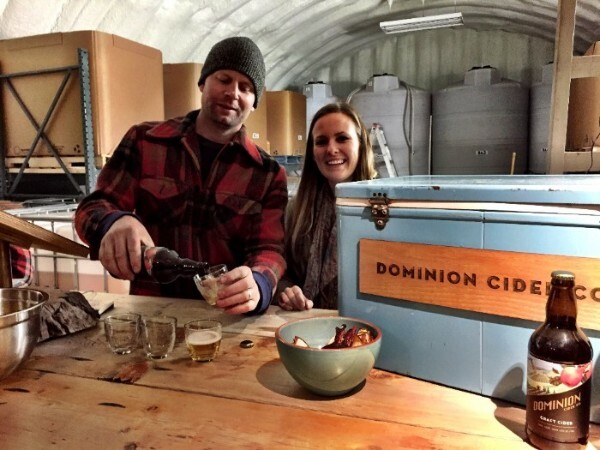 Dominion Cider Co. in Summerland offers members 10% off purchases at the cidery, their hours are 11:00-5:00 Thursday through Monday.